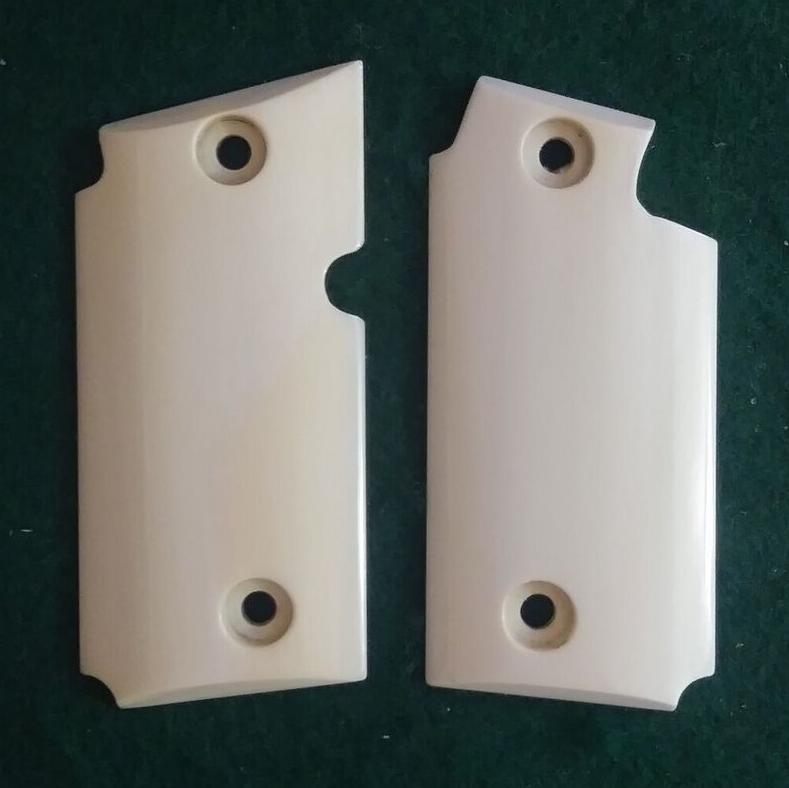 These Ivory grips fit the Sig 238 pistol. These types of grips are also available in a variety of natural and laminated woods. See also this grip made out of our stock materials. You can also contact us if want to order a set made out of our custom woods. These grips can only be shipped in the State of Texas. These grips can only be shipped within the State of Texas.